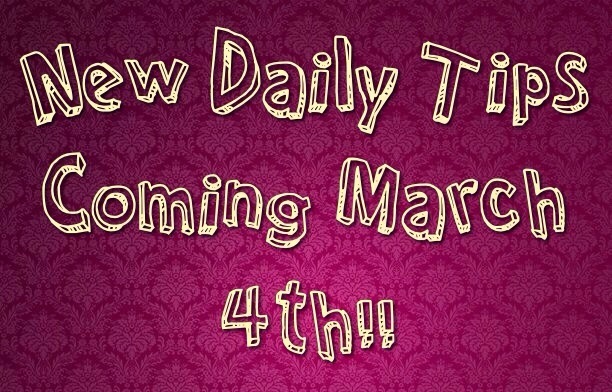 New Daily Tips Coming March 4th! Elite Health Coaching is excited to announce New Daily Tips every day of the week! Boost Your Energy Mondays – We all need that extra boost on Mondays! Here you’ll find tips to help you boost your energy naturally! New Recipe Tuesdays – Every week we will post a new recipe that has been made in my kitchen and approved by the whole family! New Workout Wednesdays – We will highlight a different workout every Wednesday! Some may be long workouts or it may include specific workouts. Release the Stress Thursdays – Tips to help you release the stress that you carry around on a day to day basis! Follow Fridays – Every Friday we will give a shout out to our favorite blogs! Do you have a favorite blog that should be highlighted? Fill out the form below! Healthy Tip Saturdays – Quick and easy tips to help make being a healthier you a little easier! Stay tuned on March 4th for the first tip of many! 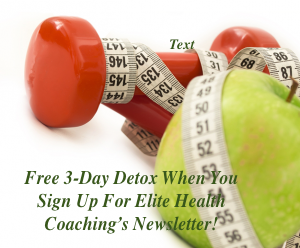 Have you signed up for the Elite Health Coaching bi-monthly Newsletter? Sign up now and get a FREE 3-Day Detox within 24 hours of subscribing! Sign up HERE!!! We’ve been participating with Bountiful Baskets a lot starting about 6 months ago or so. I don’t do them every week because sometimes we just can’t make the pick up time work. But when we do get it, I LOVE IT!!!! And when we aren’t able to do it, it now feels weird buying a lot of produce at the store. It’s so nice having it, because it cuts down on our grocery bill and I end up only buying 1-3 things in the produce section when we get our weekly groceries. This one was great and not too acidic. Sometimes when I throw in lemon and kale, my stomach isn’t too happy. 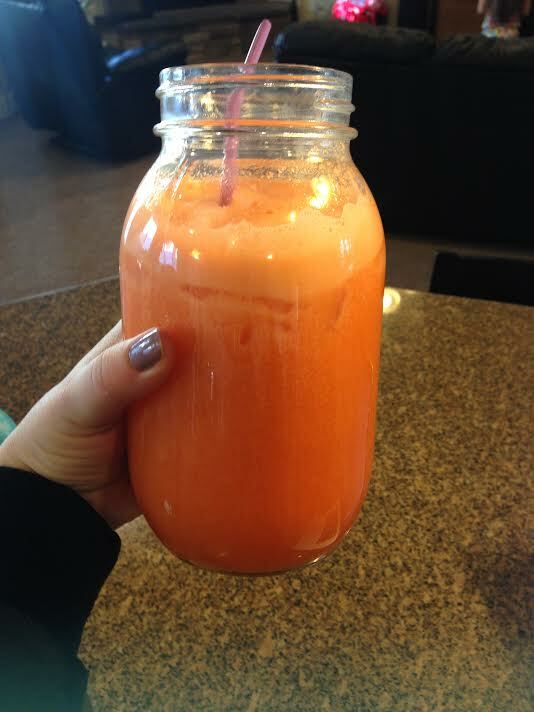 Juicing is a great way to get some fruits and veggies into your diet if you aren’t a big fan of them. It’s fun to experiment with different combinations too because you start learning what goes really well together and also what doesn’t go well together. What are some of your favorite juices? This recipe was super easy and the whole family enjoyed it! It was basically a homemade Shake and Bake, but we knew exactly what was in the breading. 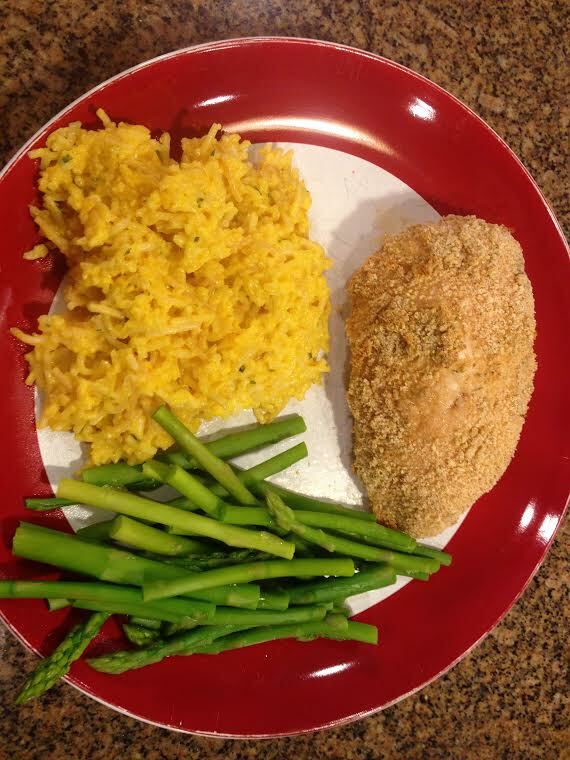 We served it with rice and asparagus from our Bountiful Basket! This was a great meal for the whole family. Our 4 year old and 9 year old really enjoyed it. I kept it on the not-so-spicy side, but added sriracha when eating it to add more spice to my bowl. In a slow cooker, combine coconut milk, garlic, ginger, tomato paste, curry powder, cinnamon, cumin, salt, cayenne, and mango. With an immersion blender, blend until smooth. Then add chicken, onions, and peppers. Cook on high for 4 – 5 hour or low for 7-8 hours. About half way through the cooking time, add potatoes. Cook the rice using a rice cooker. Add turmeric and lime juice to rice and then cook until done. Top rice with curry mixture and serve. Can be topped with cashews, cilantro, and lime slices.